You'll have to ignore the terrible photos in this blogpost. They were both snapped quickly and on the go with my phone camera. 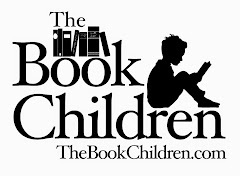 The message of this post is certainly more important than the pictures that accompany it. 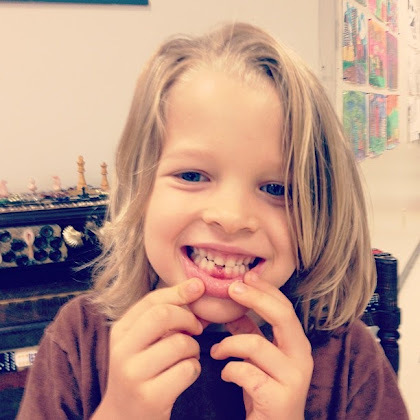 Finn's first loose tooth was fraught with emotional turmoil. He first discovered it was loose, or maybe it became loose, because he tried to pry apart 2 Lego bricks using his teeth. "My mouth is broken!" he wailed and whined for nearly an hour. He was not consoled in the slightest by the reassurance that his tooth was ready to be loose and this would mean a visit from a tooth fairy. (And MONEY his siblings informed him. When his tooth was finally loose enough that it was truly ready to fall out, Elizabeth desperately wanted to pull it for him. She begged, tried trickery, but he wasn't having it. He decided that he wanted his beloved school principal, who also pulled at least 7 of Elizabeth's teeth, to perform the rite of passage. That evening as Elizabeth was trying to cajole him into allowing her to pull his tooth with enticing words like "I wonder how much money the tooth fairy will bring? ", Finn said, "you mean, the tooth MOM!" Elizabeth looked at him with a floored expression. "Finn, do you not BELIEVE in the tooth fairy?!" He backpedaled, "I believe in a mom fairy who takes our teeth and brings us money." Paul and I have different theories on why Elizabeth needed so desperately for Finn to believe in the tooth fairy. One thing you have to understand about Elizabeth is that one of the few times she's been in trouble at school is for writing on the bathroom wall (in 2nd grade). What she wrote: there is a ghost in the old church. She had a friend who wouldn't believe that a ghost existed in the old church behind her school. She thought that writing it on the bathroom wall would lend more credibility and would force her friend to believe. This is the theory Paul subscribes to as to why Elizabeth needed Finn to believe in the tooth fairy. I tend to think that she just wants all life events to be the most special they can be. She's highly sentimental, my girl, and has a shoebox of mementos from each grade of school tucked under her bed. She's the one who decorates for each brother's birthday and fancied up the library for mine. She needed her brother to believe so that his first tooth fairy visit would be as special as possible. 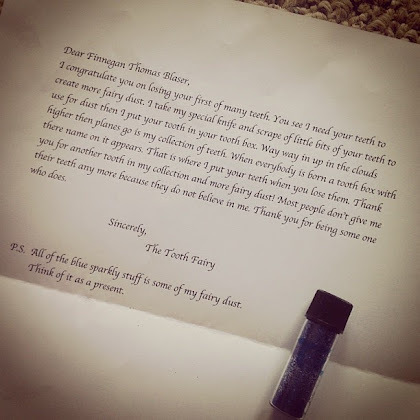 Whichever theory is correct, and maybe they both are, she decided to impersonate the tooth fairy for an evening and write a letter and send a bottle of fairy dust to Finn. Her plan worked like a charm. His special letter and bottle of dust thrilled him and earned a special place on a high shelf. And as a mama, I'm taken aback at how thoughtful my girl is, and I'm grateful that my little boy had an enchanted experience on this momentous occasion. She is so so so special that girl. What an amazing effort to make, and how wonderful that she tries so hard to make things special for others. That is a rare gift.